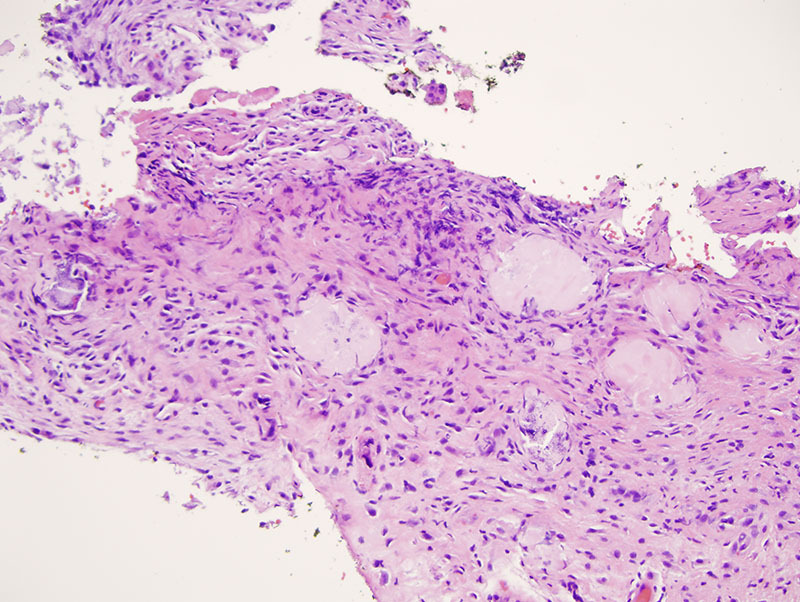 The findings show a very abnormal pink precipitate that assumes a globular pattern within the corium with supervening dystrophic calcification. The precipitate is extravascular and also likely intravascular in nature. 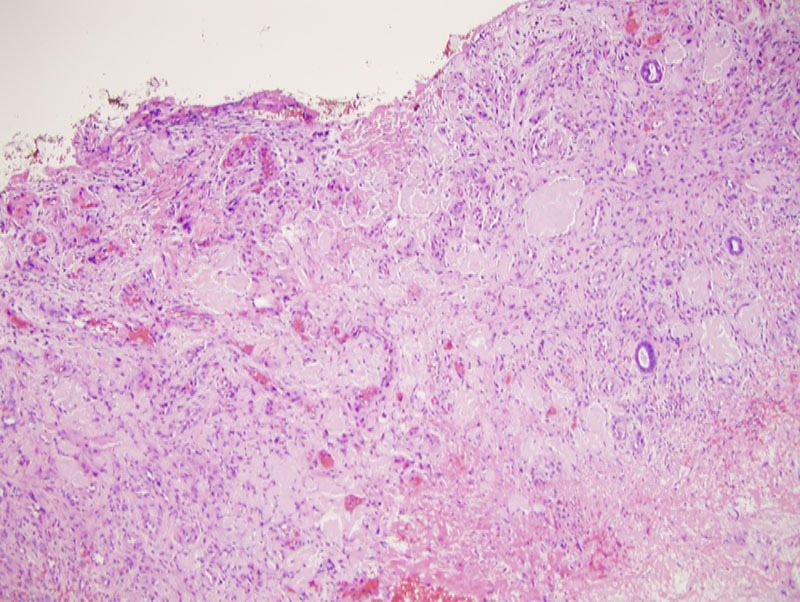 The morphology is most reminiscent of cutaneous macroglobulinosis reflective of an abnormal IgM paraprotein seen in patients with Waldenstrom's macroglobulinemia and other forms of post germinal center B-cell lymphoma. IgM is not as strongly positive as I would expect. There is, however, rather extensive staining for IgG. 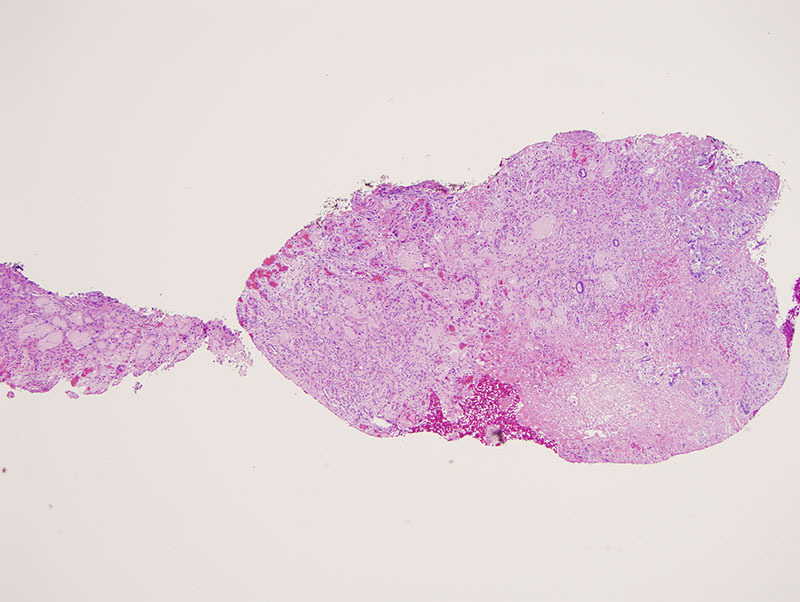 In this regard the alternative diagnostic consideration is a type I cryoglobulinemia.